A night that looked to be going all wrong for United was turned on its head in the final ten minutes of this game. United, 2-0 down midway through this game came back from the dead to clinch victory. United came flying out of the traps and had two great chances through Alex and Ian Ried, but Swiss 'keeper Deck was the equal of both. 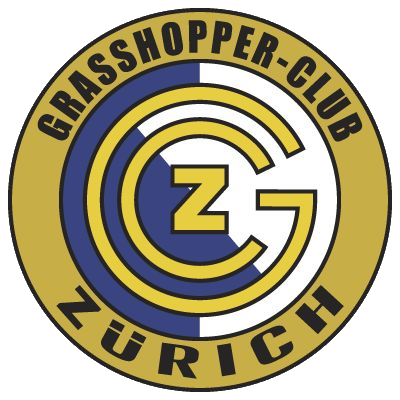 However, a mix up in the United defence let Grasshoppers take the lead, when Grahn side footed home from close range. The second goal for Grasshoppers came just after the interval. This time from a great diving header by Meier. Now on the back foot, United stepped up a gear. 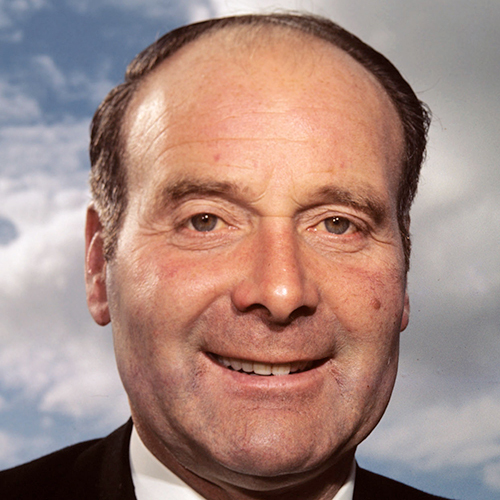 First, Ian Reid reduced the deficit midway through the second half. Then came the storming finish with both Stuart Markland and Alec Reid scoring in the last 10 minutes to win the game. 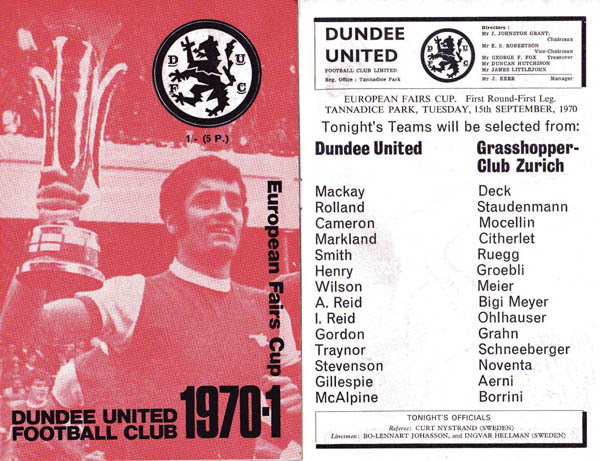 It's European Fairs Cup time once again at Tannadice and it is with great pleasure we welcome the Swiss side Grasshoppers of Zurich. This is our third appearance in the tournament and after a string of exciting games against clubs from Spain, Italy and England in previous competitions we are all hopeful this season will see us enjoy a longer run. 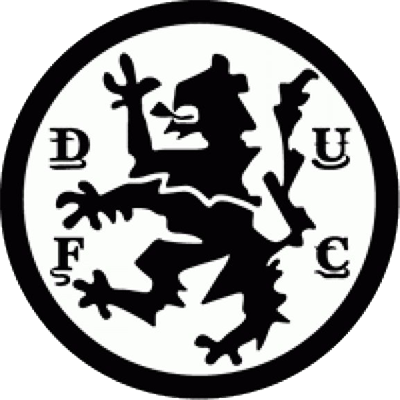 But while the Swiss side is not rated among the big European clubs I consider them to be a most impressive outfit and they canpot be underrated. Over a week ago I watched them in action in Zurich and was greatly taken with a number of their players. Initially the thought of facing a part-time club led to many people thinking we were certainties for round two.And following the visit of two Grasshoppers officials to the Celtic game they claimed it would be a walk-over. field but I discovered the players were released for games days in advance and on the field they are as fit . . . if not fitter . . . than full-time men. tie can be the vital point in our favour and it's up to us to get on a sound footing for the second game. I have no doubt the Zurich game will be a tough proposition for us and this is a game we must start with a fair lead. Meier, Swedish international Ove Grahn and Rainer Ohlhauser, a player who looks good value for the £30,000 paid to Bayem last season. All over tonight s game could be as interesting and exciting as any we have had in the Fairs. We are all looking forward to an exciting and sporting game.